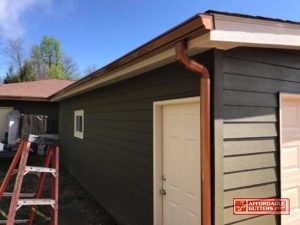 Affordable Gutters Plus, LLC is the one to call for your quality rain gutter installation needs in Milton, GA. You get excellent rain gutter installation for your home with our full roofing and gutter services. Our mission is to guarantee that each rain gutter installation will last you as long as you own your house, providing you with peace of mind and easing worries about roof damage. Our contractors are skilled experts who are licensed to provide you with the best workmanship and customer service in town. If you have any questions about rain gutter installation, we are always available to help you. Contact Affordable Gutters Plus, LLC today at 770-735-4433 for your rain gutter installation in Milton, GA. 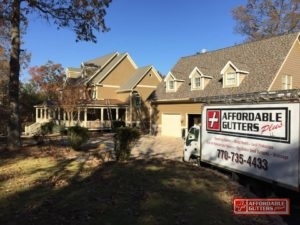 Affordable Gutters Plus, LLC offers all of your needed residential services in Milton, GA. With home services, our contractors complete more than only rain gutter systems. Metal Roofing: Safeguard your house with enduring, energy efficient metal roofs. Roof Drainage Repair: Ensure your system functions perfectly with roof drainage repair and replacement. Seamless Rain Gutters: Leakless, seamless gutters from Affordable Gutters Plus, LLC give your house with safeguards from water damage. Squirrel Deterrent Flashing: Halt pests and rodents in their tracks with squirrel deterrent flashing for your house. Receive these and many more services you need for your house. Your home structure stays in one piece because your roof system acts as a defense to stop excessive damage from storms, hail, and even winds. To increase the protection of your roof, have a superior gutter system installed. Need to begin on a rain gutter installation for your home in Milton, GA? Dial 770-735-4433 today to speak with one of our contractors about your house’s roof and gutter service requirements. You want your house to last you a lifetime. 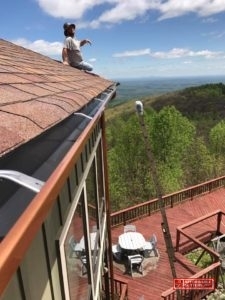 No matter how long you occupy your home, Affordable Gutters Plus, LLC understands that you require systems you can trust, which is why we install the best gutters for your house. Our contractors are licensed professionals who work with you to ensure you receive exactly what your home requires. Customer service and expert workmanship are our central values and we use these to supply you with superior roofing and rain gutter installation experience. Give Affordable Gutters Plus, LLC a call today to talk with a professional about beginning your rain gutter installation: 770-735-4433.